What if you could grow your money exponentially by basically just existing? Sounds too good to be true, right? Well, this is one of the few times where it’s not. I’m sure you’ve noticed how a lot of the really rich people are old. That’s not a coincidence. Sure they’ve had increases to their salary over the years but that’s not the whole story. They’ve been utilizing the best wealth-building asset their is: time. Pie Charts Don’t Lie. These are facts, people. 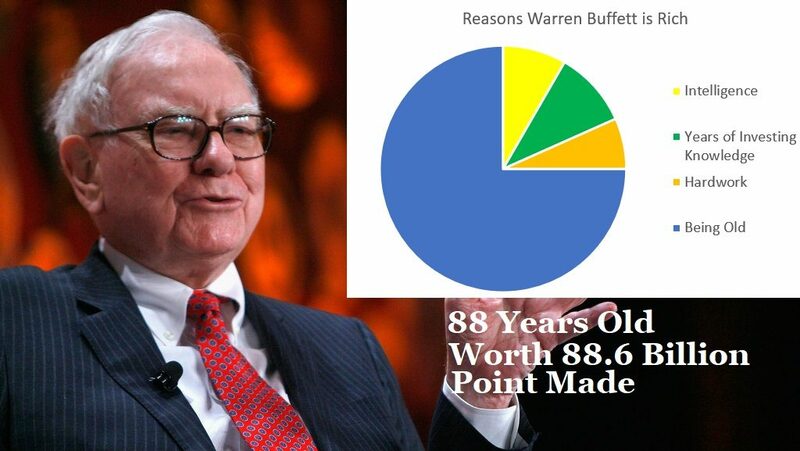 Compound interest is the real magic behind all of this. 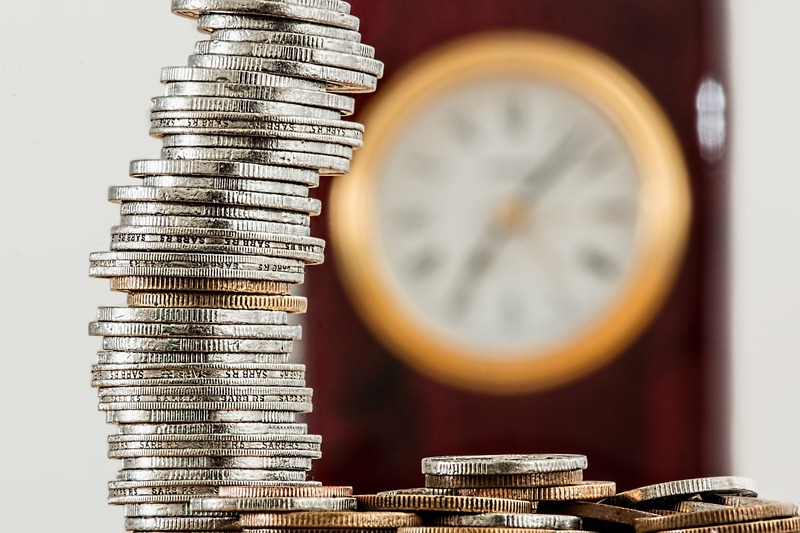 Let’s look at a couple different scenarios to see compound interest in action. Harvard Harry graduates college at 22 and starts making $100,000 right after graduation. He begins putting $20,000 per year into his savings account for retirement. State School Sam graduates at the same age and starts out making $50,000. He starts putting $500 per month ($6000/year) into funds that track the performance of the S&P 500. The average return for the stock market is about 10%, but after adjusting for inflation it will put it at about 7%. We’ll use that number to keep everything fair. Let’s say both plan to retire at 65, so the time period will be 43 years. 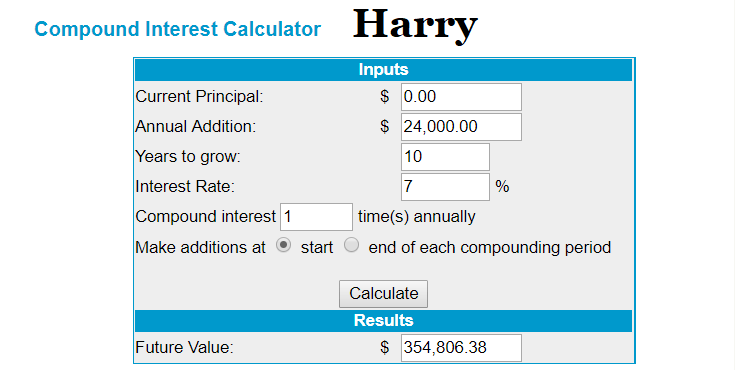 Harry’s money isn’t growing while it’s sitting in his bank account, so his interest rate will be 0. 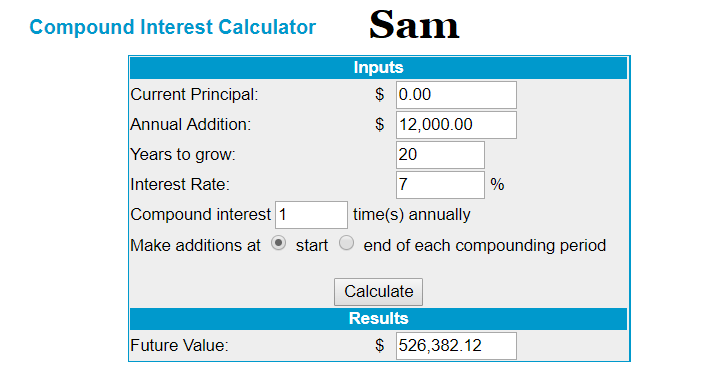 Sam’s money, on the other hand, is growing at 7%, so we’ll plug that in for the interest rate. At the time of their retirement Sam will have nearly twice the amount Harry does even though he set aside $14,000 LESS per year. 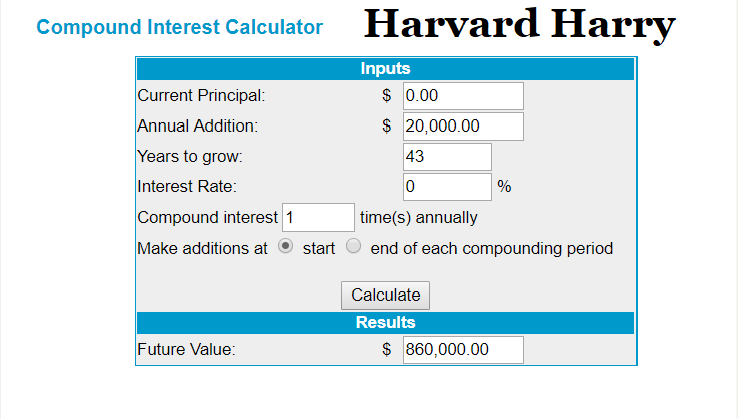 Wonder how much Harry would have at the time of retirement if he had invested that $20,000/year? Over $5,300,000. I bet Harry isn’t feeling so smart now. In this next scenario Sam starts investing $1000 per month at the age of 22. Harry doesn’t invest anything initially, but 10 years later at age 32 he sees how well his friend, Sam, is doing with his investments. Harry decides to invest twice as much as Sam per month to try to catch up. At age 42 they will have invested the same amount of their own money into the stock market, but I don’t think any of you will be surprised to hear that Sam is still going to have quite a bit more. They have invested the same amount, but Sam has ten more years in the market, which led to having $170,000+ more than Harry. It gives a whole new meaning to the phrase “time is money”. Moral of the story: start investing if you haven’t. 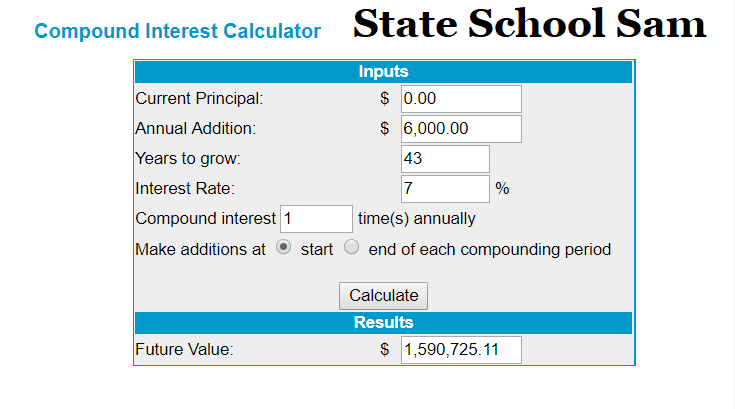 If you want to play around with some of the numbers there’s a link to the compound interest calculator I used below.